What is an Adventure Roadbook? RallyMoto organises a number of events, activities in both the UK and abroad. A series of UK based rally events – with an enduro style follow the arrows format. Long laps and an easy enduro style course. The ATRC has been popular with UK riders for 4 years now with 6 classes to compete in. Rounds include the Brechfa Rally, Ryedale Rally, Keilder Rally, Beacons Rally and the Hafren Rally. 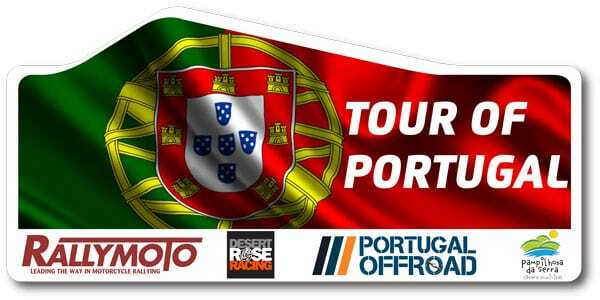 A popular 3 day roadbook rally based in the central region of Portugal. A great event and a stepping stone for rally riders to learn about overseas events in a friendly and social environment. Up to 60 competitors from new riders right through to seasoned competitors take part in this low pressure event. Visit the dedicated Tour of Portugal site for more info. A real adventure navigation series, consisting of two events for adventure riders and “Big Bikes”. The first one is the Wales 500, a two day event where a team of three riders has to show skills and navigation accuracy to score highly – a real social and fun event based at the fantastic Malvern Show Ground. A series of free to members, fun events aimed at getting riders into road book navigation. These events are run by members around the UK and RallyMoto is able to provide some “Get you going” roadbook holders to help riders get a feel for roadbook navigation and rallying. For 2018 we will be running some rally related adventure tours for those riders who want to see and get close to the action but are not wanting to compete. We have a great programme of events for adventure and “big bikes” for 2018. Planned for the line up are adventure ours in Portugal and Bulgaria, a special 3 day navigational adventure in the Pyrennees and a once in a lifetime roadbook adventure in Morocco. Click on the image above to get your free “How to Get Started with Roadbook Navigation” manual.